VISTA, Calif., Oct. 16, 2018 /PRNewswire/ -- Sandel Avionics Inc. announced availability for its Avilon® flight deck for the King Air family. Initial STC award is expected in January 2019 with first Avilon deliveries to follow immediately after receipt of STC. Sandel is now accepting orders for Avilon. Avilon offers operators a highly advanced flight deck that enables a vastly simplified installation along with complete system integration. 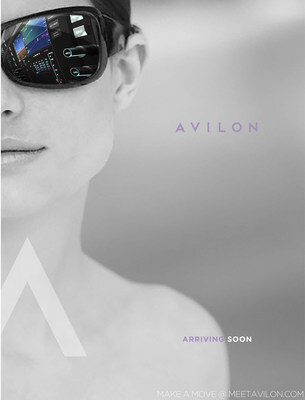 Available through select certified dealers, Avilon will sell for a guaranteed fly away price of $175,000, including an advanced autopilot. Additional details about Avilon can be found at www.sandelavilon.com or stop by Sandel's booth exhibit #4484 at the NBAA BACE Convention in Orlando, FL, Oct. 16-18. "NBAA is the ideal venue to promote Sandel's commitment to pursue the entire King Air market. Avilon is complete and certification is imminent so it's time to start re-energizing the momentum. King Air owners and pilots will immediately appreciate the revolutionary change Avilon brings to the retrofit avionics industry. The value and capability Avilon offers is unprecedented," said Gerry Block, President and CEO of Sandel. Avilon's clean-sheet design redefines what is possible in a cockpit avionics upgrade. 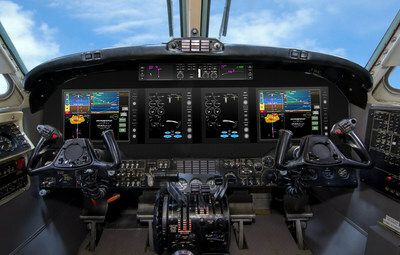 King Air owners and operators will gain unprecedented technology and value over existing alternatives. Avilon's guaranteed fly away price of $175,000 includes FAA NextGen capability and performance, integrated autopilot, graphical flight management system, triple primary system redundancy, ADS-B, synthetic vision, 20 Watt Nav/Com, and TAWS A. Located in Vista, California, Sandel is a privately held company managed by an independent board of directors. This year Sandel is celebrating 20 years of innovation in panel mounted displays and avionics to nearly every facet of aviation. It has the stated mission to provide working turboprop customers with a retrofit performance-based avionics system at an affordable price to ensure the highest level of safety, efficiency, and compliance with developing regulatory initiatives to modernize airspace operations. Sandel is AS9100 and ISO9001 certified and headquartered in Vista, California. To learn more about Sandel and its products, please visit www.sandel.com.